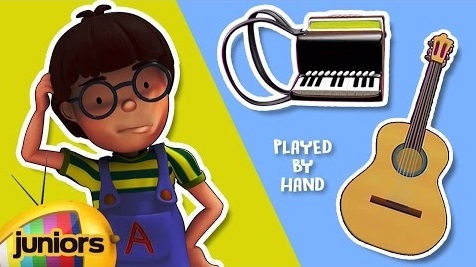 Hello, Lets Learn About Musical Instruments, Instruments Played By Hand, Alex And The Music, only on channel Mango Juniors. Today we will learn about musical instruments which are played by mouth not hand. There are many such instruments like, Guitar, Violin, Xylophone etc. Watch this video to learn about more musical instruments. Alex and the music is a music teaching cartoon series for kids, this show will make your children aware of various musical instruments and also they can learn and interact with the music which will increase their listening skills. Today's episode is about Harmonice.